Pictured here with fellow artist Gill Del Mace and their publisher David Sears. 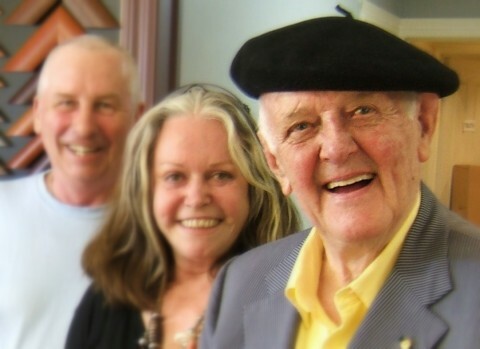 John Olsen is our most loved Australian living artist. Olsen has won many art awards, including the Archibald in 2005. His works are represented in the National Gallery of Australia and most state and regional galleries. Limited to very few prints and hand signed these beautiful works of nature are real collectors items. Own a signed art work by our most famous artist. See Olsen's works framed and unframed in our gallery 60 Glenferrie Rd, Malvern. (Melbourne). 03 9576 1566. Please subscribe to our email list (below) to receive updates on new art works, exhibition invitations and special offers.